Although Autumn officially starts this weekend, the hot summer weather does not appear to be going away any time soon. So this week I have a recommendation for a cool way to cool off. Rita’s, which has been a mandatory stop on my food itinerary whenever I visit Philadelphia, has now expanded to Los Angeles, bringing two kinds of frozen treats that were previously hard to find here. The first is Water Ice aka Italian Ice. Denser than shaved ice and smoother than a snow cone, this sweet, slushy and sugary dessert is served in a cup and consumed with a spoon. 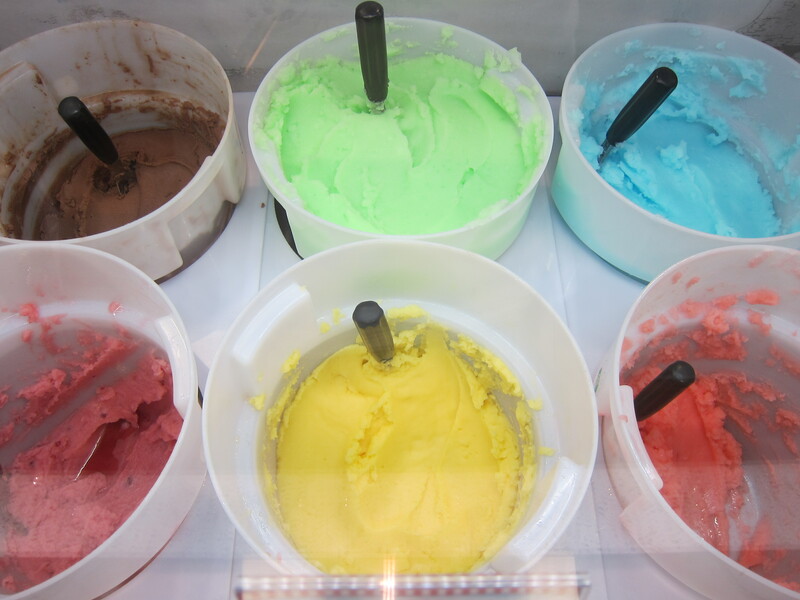 Rita’s offers many rotating flavors, including Root Beer, Blue Raspberry, Cotton Candy, Juicy Pear, Chocolate Peanut Butter, Swedish Fish and Pineapple. They also usually have a flavor or two of “Cream Ice,” a dairy version of Water Ice in flavors such as Pumpkin Pie and Red Velvet Cake. The other specialty of Rita’s is Frozen Custard. It’s similar to soft serve ice cream but denser and richer since it’s made with egg yolks. 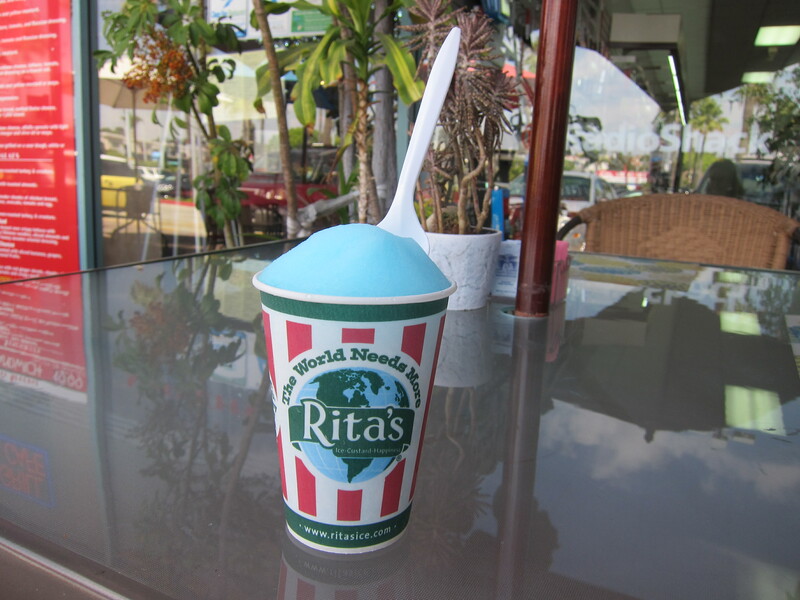 Rita’s serves both Vanilla and Chocolate Frozen Custard and sometimes other varieties such as Coffee or Strawberry. If you can’t decide between the Water Ice and Frozen Custard, do what I do and have both. 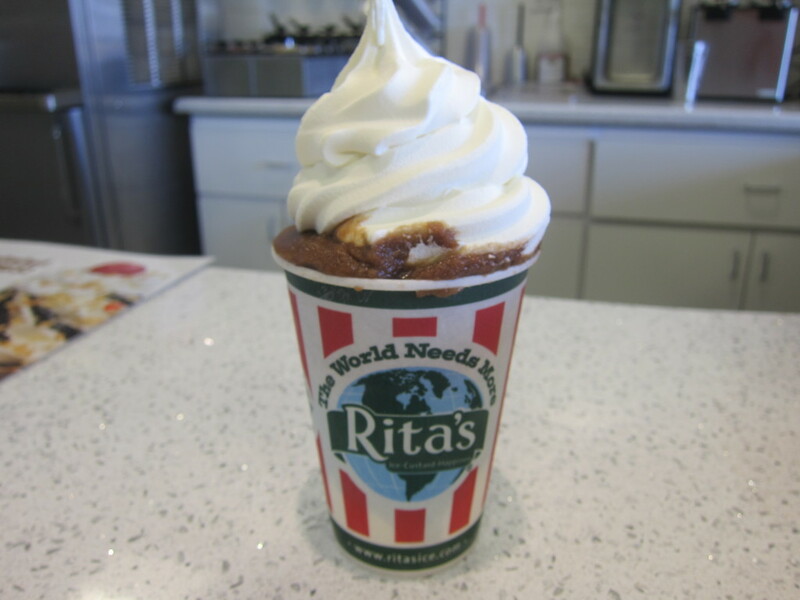 Rita’s Gelati is a delicious concoction made with a bottom layer of Frozen Custard, a middle layer of Water Ice, and a topping of more Frozen Custard. It’s well worth the attendant risks of brain freeze and sugar coma. 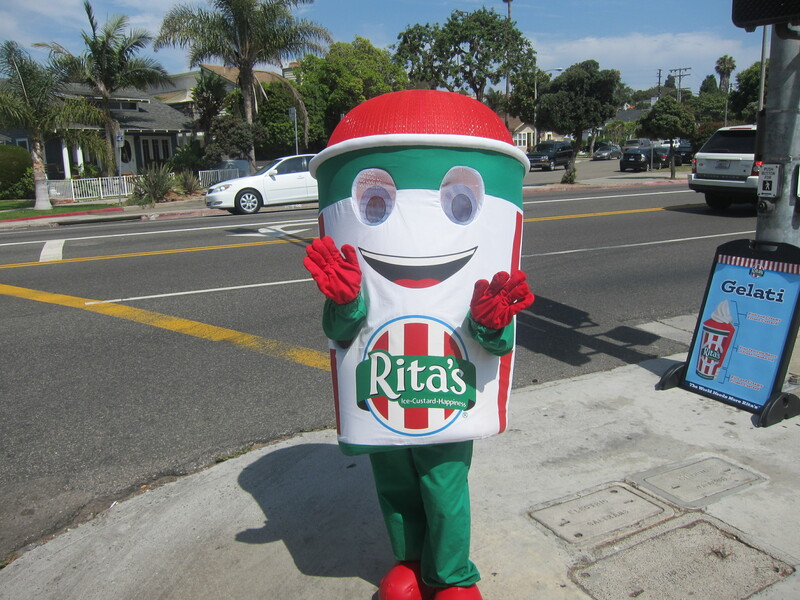 Rita’s is located at 2307 Main Street in Santa Monica, 403 N. Pacific Coast Hwy, Redondo Beach, and 468 Foothill Blvd., La Cañada Flintridge. Hilarious. You are Lovely Rita also! I used to live on the East Coast and really missed Rita’s ices. I am so psyched I can get it now in L.A. The frozen custard is amazing!! Just noticed that Rita’s will be coming to Tarzana soon. It will be next door to Peetes coffee on Ventura!